At Marriott Harrison LLP, our people are talented, ambitious and dedicated. Our clients are central to our business, and we encourage our people to develop and maintain client relationships from day one. We also recognise that there is life beyond the office, and all partners and staff are encouraged to participate in helping the wider community through our commitment to Corporate Social Responsibility. Above all, Marriott Harrison LLP is a friendly and supportive firm that is committed to helping its people deliver the excellence and high quality service that we and our clients expect. We are looking for highly motivated individuals with both a strong academic record and a common sense, pragmatic approach. An ability to work well in a team is particularly important given the firm’s size and structure. What motivates our people is being key to our business and making a positive contribution to our clients’ and the firm’s business. We support our people’s career potential and develop their leadership skills to the highest level. In turn, we look to our people to help our clients realise their ambitions to grow successful businesses. Apply for a place on our summer vacation scheme here. The programme for trainees typically comprises four seats within corporate, dispute resolution, employment, commercial/data protection/IP and IT, real estate and banking/restructuring. We offer trainees high quality and varied work, increasing in complexity as they progress through their training contract. Trainees usually sit with a partner in each seat, ensuring that they receive direct guidance from experienced practitioners throughout their training contract. Our partners and associates are always on hand to offer support and guidance when needed. As a trainee you will be supported in completing your Professional Skills Course throughout your training contract and encouraged to attend additional seminars and presentations to broaden the scope of your development. The size of the firm makes it possible to build strong working relationships with colleagues and, as such, the firm really works together as a team. Trainees are actively encouraged to become involved in marketing and social activities and there are plenty of firm-wide internal social events, many of which are trainee-led. The Marriott Harrison Summer Vacation Scheme runs from June to August, with each candidate spending a week with the firm. A selection of those candidates will be invited back for an interview for a training contract. The deadline for applications is 31st March each year. To apply for a training contract all applicants must take part in our Summer Vacation Scheme. Mariya Uzunova is a trainee solicitor at Marriott Harrison. She was recruited from our Summer Vacation Scheme (as with all of our trainees). Here she describes a typical day in the office from the time that she spent in the firm’s Real Estate Department. 8:30-9:30: I commute into the City and grab a croissant and coffee on the way to work. 9:30-10:00: The first thing I do once I get to the office is check my emails, my outstanding tasks from the previous day, and make a to-do list. I think about how to best structure my day and optimise my time, as the Real Estate Department tends to get quite busy and staying on top of tasks and deadlines is very important. 10:00-12:30: The first part of the day is usually quite busy as I am drafting applications to be sent to the Land Registry to complete various property deals, responding to requisitions from the Land Registry, sometimes even giving them a call to clarify certain points. One of the partners has given me the responsibility to draft a Rent Deposit Deed to be sent out to the client. 12:30-13:30: Visited the office of a new client. We are helping the client transfer from their existing office to a new building. This is very interesting as it puts my work into perspective and allows me to visualise the work I am doing. I take the necessary documentation from the client and take it back to the office in order to open a new client matter, and explain my experience to my colleagues. 13.30-14.30: I usually head out for lunch with my fellow trainees, based on who is available on the day. When we all have time, we arrange a booking beforehand and pick a nice place to go to. It is always fun to catch-up. 14.30-17.30: In the afternoon, I try to cross off as many tasks as possible. I am usually given additional interesting tasks to do by the associates or the partners in the department. That keeps me busy until the evening when I write out everything that is still outstanding and make a plan for the morning. I record the time spent working on different matters throughout the day and start filling out my trainee record. 17:30-21:00: After work, we attended the MH Connect event organised every year by the newest trainee intake for the Associates and Trainees, as well as our clients. This year it was organised by my fellow trainees Gabriela and Kerry. I must say it was a huge success – everyone loved the magician! Our Summer Vacation Scheme is an excellent way to discover whether working for a specialist business law firm is for you. You will be involved in real project work from all of our departments and get to see what it is like to make a genuine contribution to live transactions. 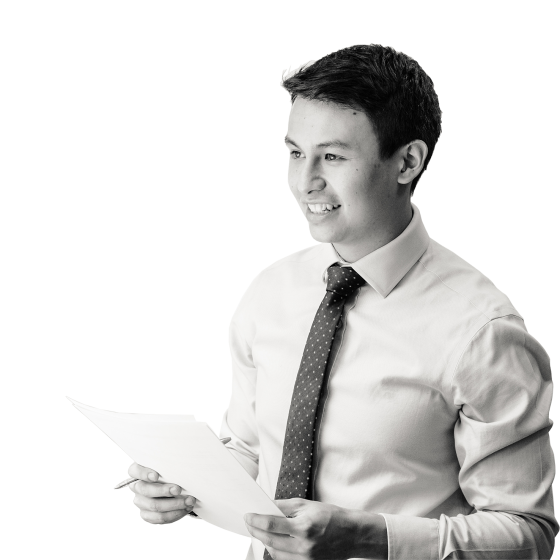 The Scheme is not only your chance to gain valuable work experience, but it is also our chance to gauge whether you may have the character and ability to be a successful trainee solicitor here. At present we recruit all our trainees from participants in our Vacation Scheme. The Scheme typically runs from June to August, with each participant spending a week with the firm. The closing date for application is 31st March, each year. Your application should state your reasons for applying together with any other information you feel is useful to help us to assess your application. Please include your availability during June, July, and August. Shortlisted applicants will be contacted in April for a short video interview. Successful applicants will be notified by email during May. Following your placement, a shortlist of candidates will be selected for a final partner-led interview. Trainee recruitment is generally one year in advance. Unfortunately, due to the volume of applications received and the number of participants involved in the Vacation Scheme, we are unable to provide individual feedback or references. Applicants should note that Scheme participation is unpaid, however we will cover all reasonable travel costs. Marriott Harrison will pay future LPC fees for successful applicants about to start the LPC course.